A FREE Virtual Race for Loyal Customers! Offer valid only for customers who have participated in at least 12 different Virtual Strides events. See below for details. The Virtual Strider virtual 5k/10k/Half Marathon is a completely FREE* event for our loyal customers. 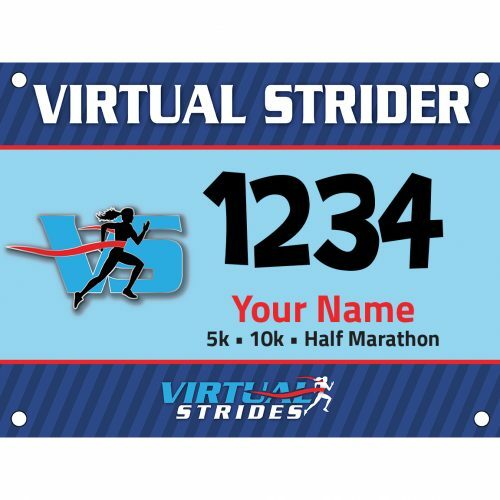 To be eligible to register for this virtual race, you must have participated in at least 12 different Virtual Strides events. You can see all of the events you have participated in and how many more you need in order to qualify on your My Results page. 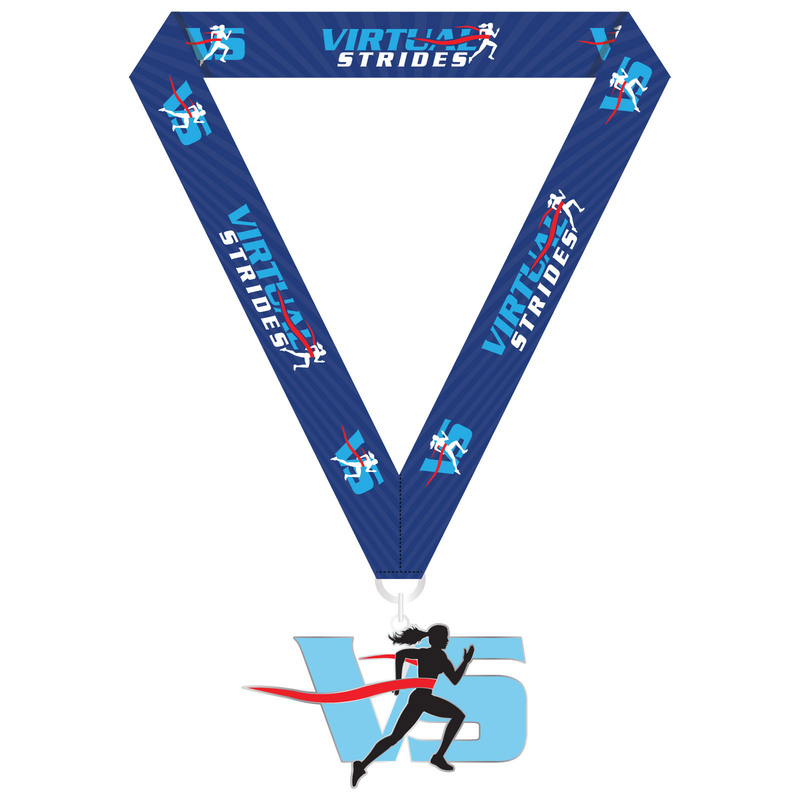 All participants in this event will receive the exclusive Virtual Strider medal, packaged in a commemorative drawstring jewelry bag. 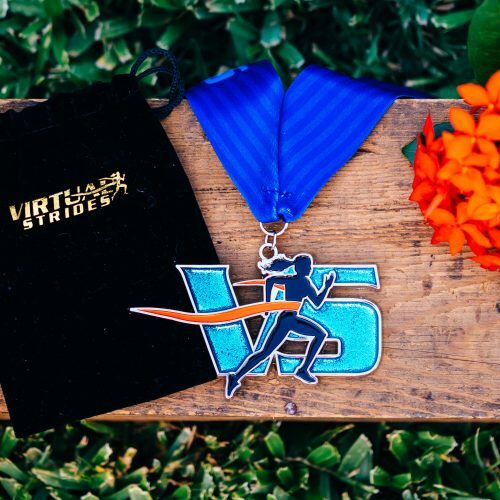 The medal is the VS logo, and the “V” and “S” are translucent and filled with glitter. Note: Because this event does not have an end date, Virtual Strider medals will ship ASAP, regardless of your usual shipping preferences. 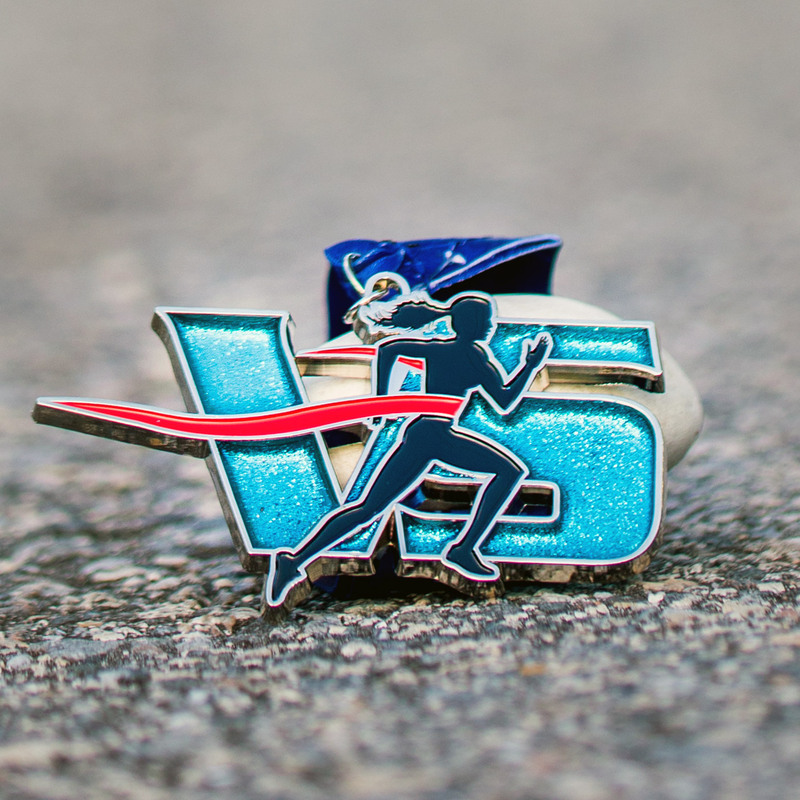 *While this event is completely free to register for, we are charging $5 to cover USA Shipping for the medal.